Nevada Camera Club is a member organization of the Photographic Society of America (PSA). In formulating its own structure and standards, the Nevada Camera Club has been substantially aided by PSA's Camera Club Guides and International Exhibition Judging Standards and Practices. Using PSA's Bulletin Competition and Bulletin Advisory Service has helped the NCC monthly newsletter achieve its current level of excellence. NCC members have been educated and entertained through the use of PSA Services for Clubs which are available from each of PSA's six Divisions. 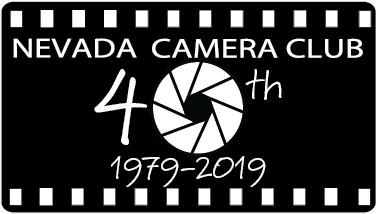 Nevada Camera Club participates in PSA Divisional Inter-club Competitions, providing NCC members with a pathway to international recognition for their photographic achievement. A number of NCC members are graduates of the PSA Image Analysis Course, allowing them to improve their communication skills when evaluating the photography of others and also enabling them to improve their own photographic imagery through a comprehensive analysis of the photographs produced by highly accomplished PSA exhibitors. Photographic Society of America is a nonprofit organization which is established as a medium for cooperative action in promoting the arts and sciences of photography and for furthering public education therein. PSA provides members with an opportunity to participate in a multitude of services and activities. Get more information about Photographic Society of America services for clubs and individuals from the PSA Web Site.